The “Mignon Game Kit” is a kitset which enables a minimalist “Gameboy” to be individually designed, programmed and constructed. Workshops and online instructions enable advanced learners to invent and programme their own games. 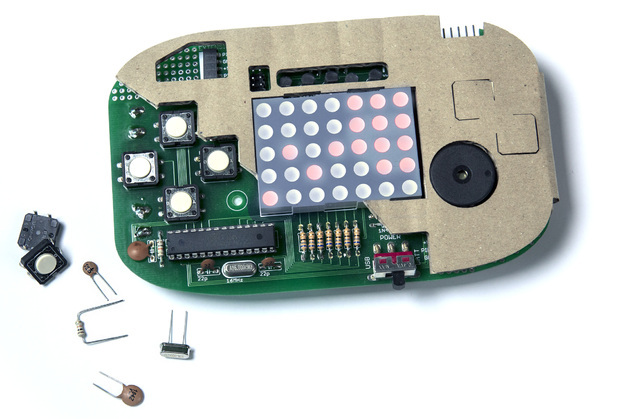 In this way the do-it-yourself console of the “Mignon Game Kit” provides not only the opportunity for basic experiments with micro-electronics for first time users but can also be used as a platform for individual computer games. As opposed to conventional Gameboys the user develops a personal relationship to his device through the processes of self-production and individually determined programming.